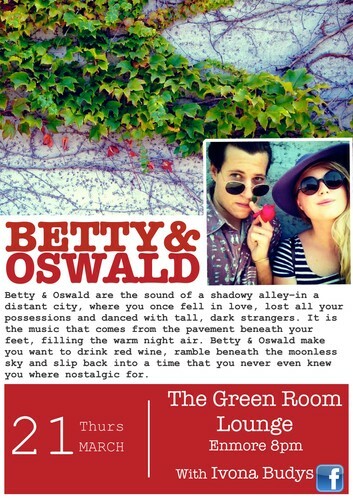 Unfortunately Maxine Kauter has had to cancel - so we have Betty & Oswald instead! Betty and Oswald are the sound of a shadowy alley-in a distant city, where you once fell in love, lost all your possessions and danced with tall, dark strangers. It is the music that comes from the pavement beneath your feet, filling the warm night air. Betty & Oswald make you want to drink red wine, ramble beneath the moonless sky and slip back into a time that you never even knew you where nostalgic for.